This book is currently out of stock. Please check back soon to order a copy. 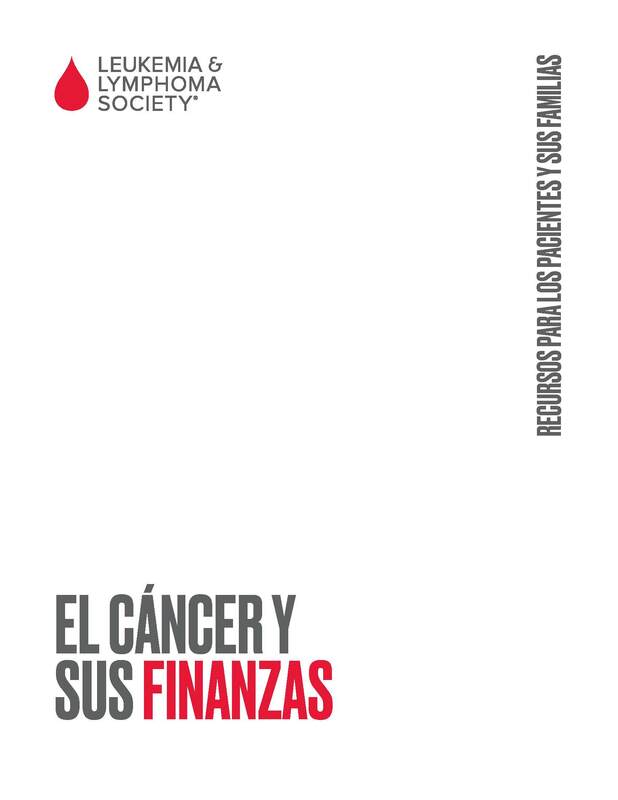 This is a Spanish-language version of the booklet Learning and Living with Cancer. This is a Spanish-language version of Palliative Care Fast Facts. This is a Spanish-language version of the booklet Each New Day. This is a Spanish-language version of Blood Cells/Lymphatic System. 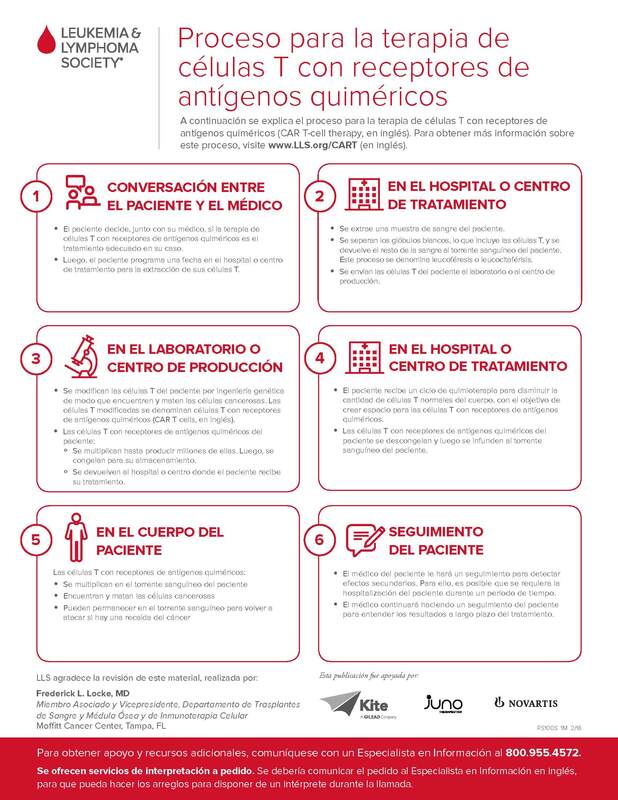 This is a Spanish-language version of the Clinical Trial Support Center (CTSC) Bookmark. 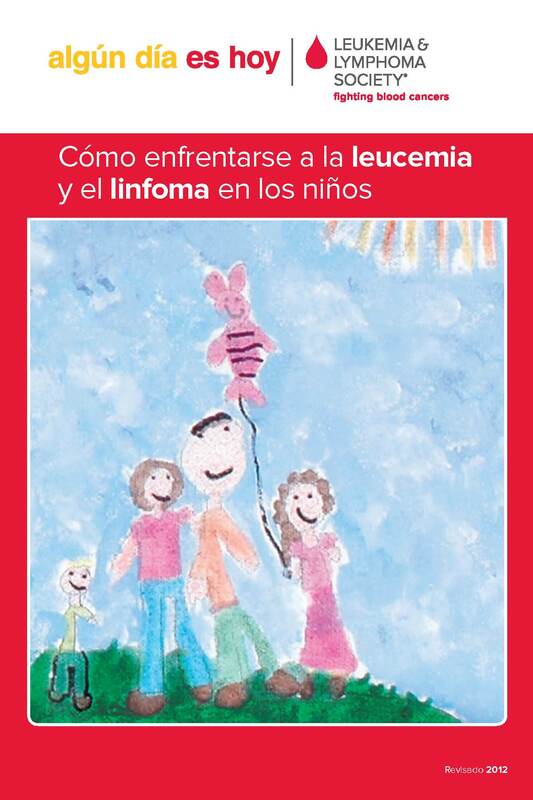 This is the Spanish-language version of the booklet Coping With Childhood Leukemia and Lymphoma. This is the Spanish-language version of Communicating With Your Healthcare Team: Newly Diagnosed. 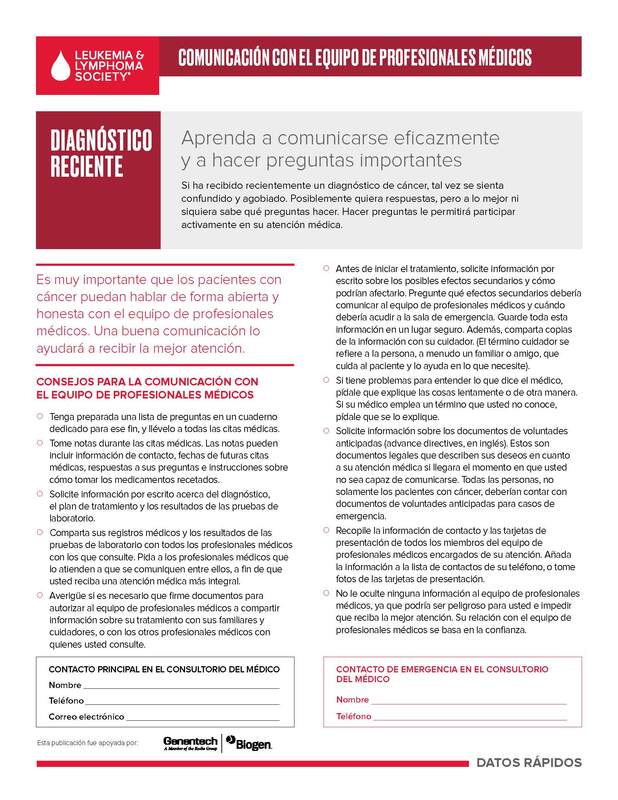 This is the Spanish-language version of Communicating With Your Healthcare Team: Newly Diagnosed (CARD). This is the Spanish-language version of Communicating With Your Healthcare Team: Survivorship. 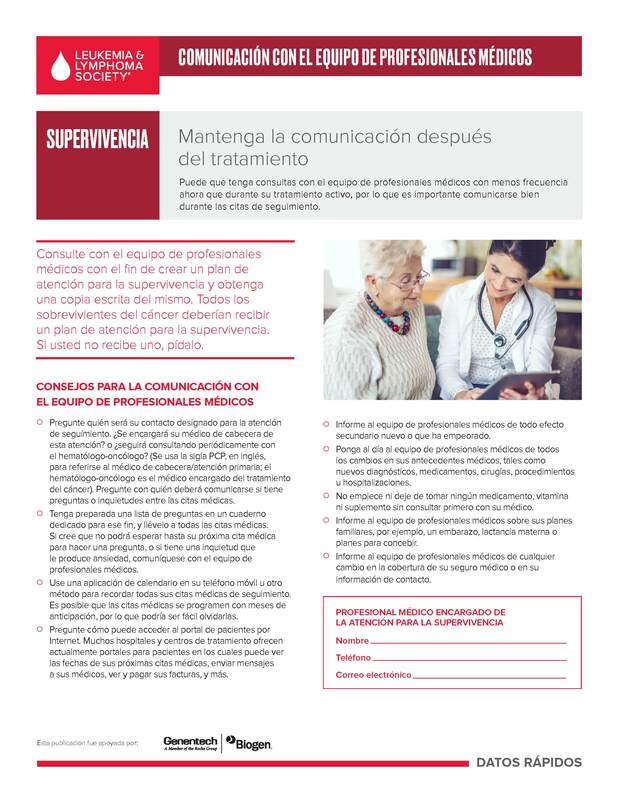 This is the Spanish-language version of Communicating With Your Healthcare Team: Survivorship (CARD). This is the Spanish-language version of Communicating With Your Healthcare Team: Treatment. 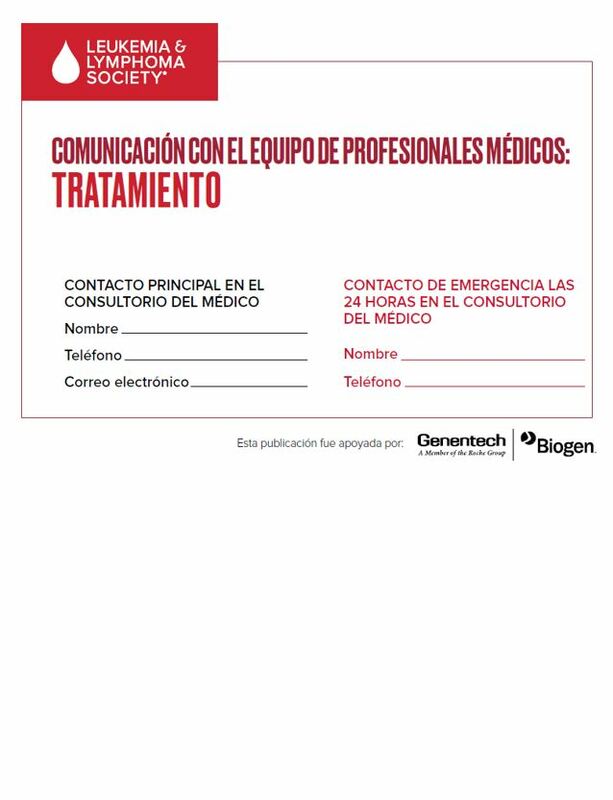 This is the Spanish-language version of Communicating With Your Healthcare Team: Treatment (CARD). This is the Spanish-language version of the Healthy Behaviors Fast Facts. This is a Spanish-language version of Know Your NHL Subtype. 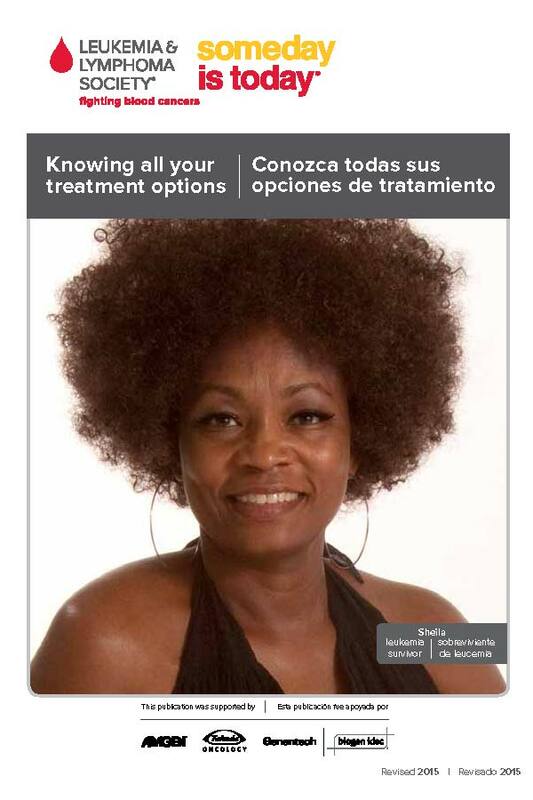 This is a bilingual English/Spanish booklet (Knowing All Your Treatment Options). This is a Spanish-language version of the brochure, Personalized Nutrition Consultations. 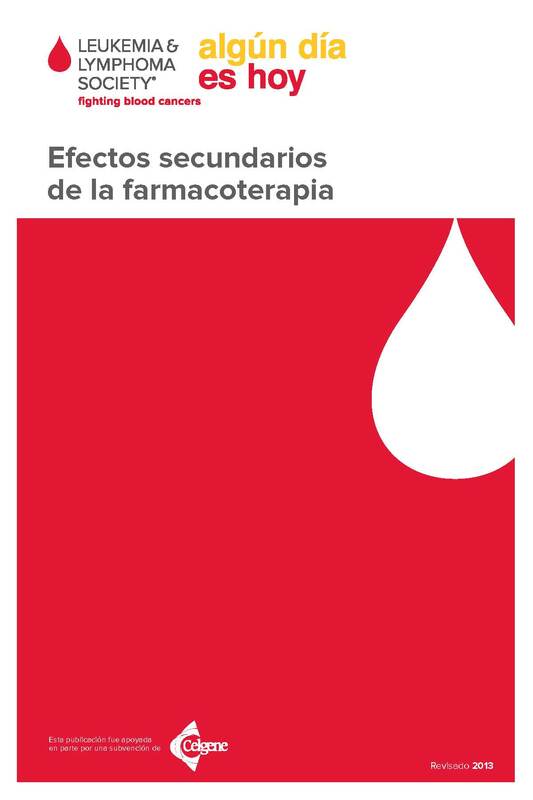 This is a Spanish-language version of the booklet Understanding Side Effects of Drug Therapy. This is a Spanish-language version of Cancer and Your Finances. This is a Spanish-language version of the fact sheet, Graft-Versus-Host Disease. This is a Spanish-language version of Watch and Wait Fast Facts. This is a Spanish-language version of Cutaneous T-Cell Lymphoma Facts. 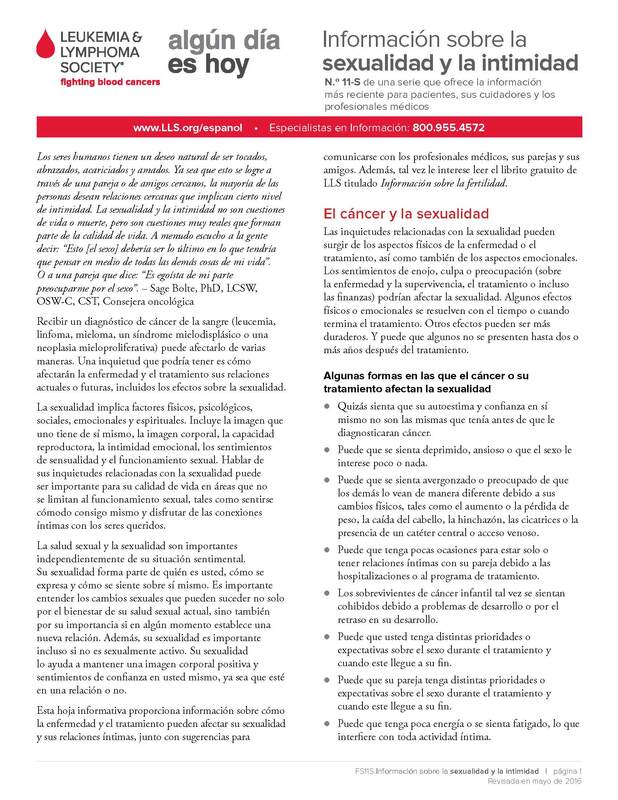 This is a Spanish-language version of the fact sheet Mantle Cell Lymphoma Facts. This is a Spanish-language version of the fact sheet Peripheral T-Cell Lymphoma Facts. 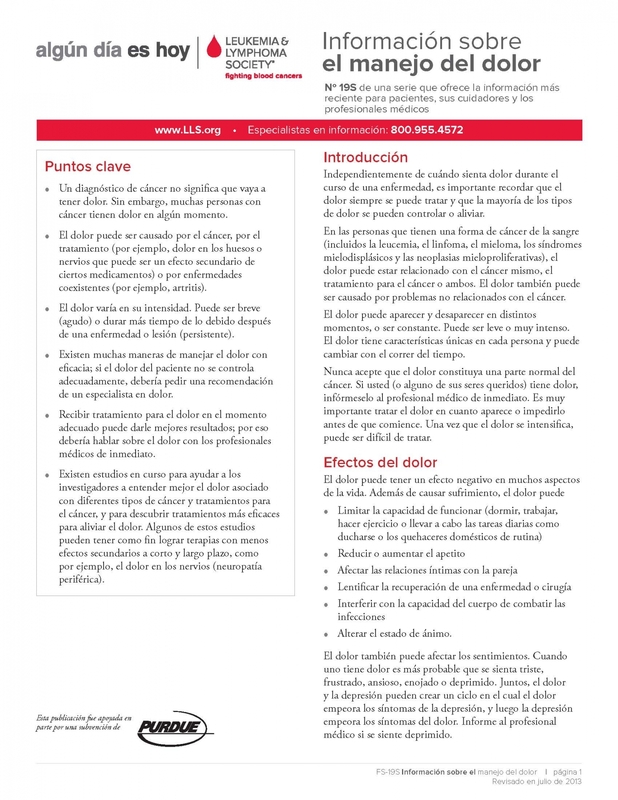 This is a Spanish-language version of the fact sheet Pain Management Facts. 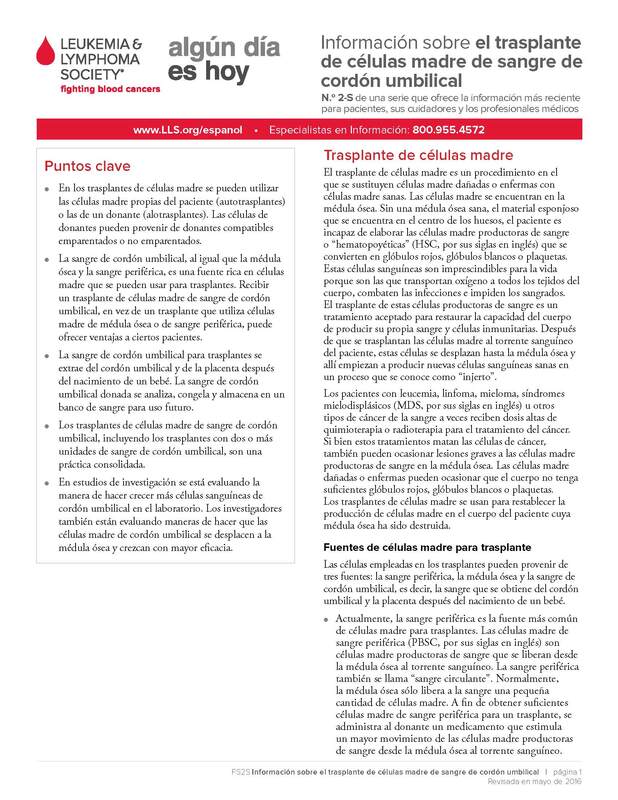 This is a Spanish-language version of the fact sheet Cord Blood Stem Cell Transplantation. 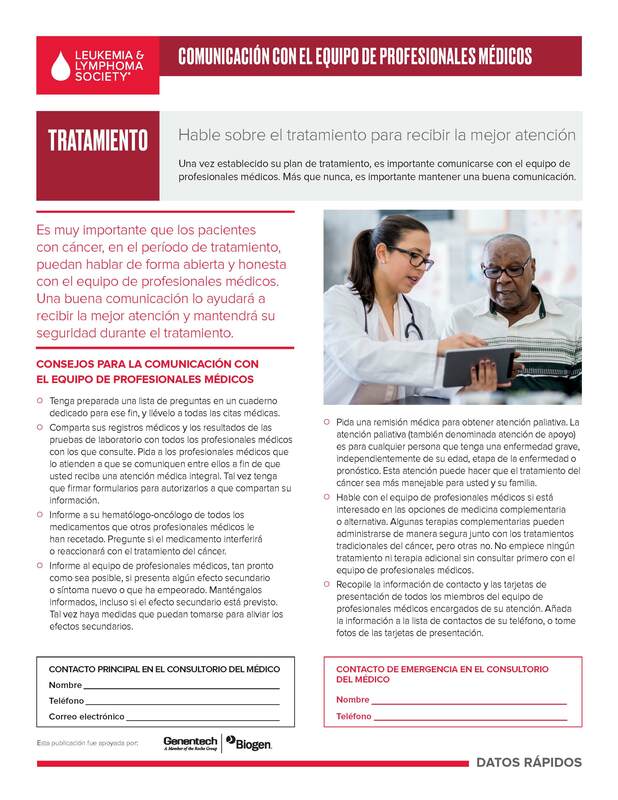 This is a Spanish-language version of the fact sheet, Myeloma Oral Treatment Adherence Facts. This is a Spanish-language version of the fact sheet Cancer-Related Fatigue Facts. 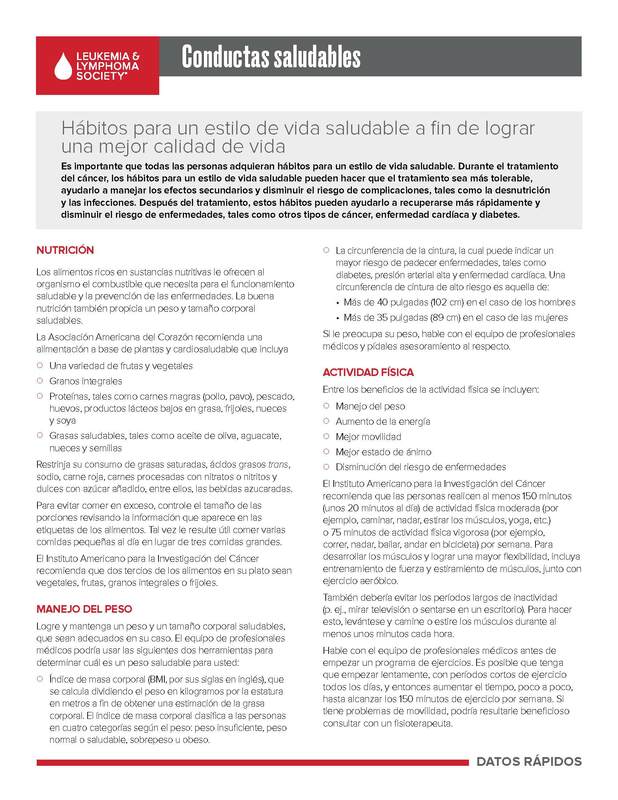 This is a Spanish-language version of the fact sheet Fertility Facts. 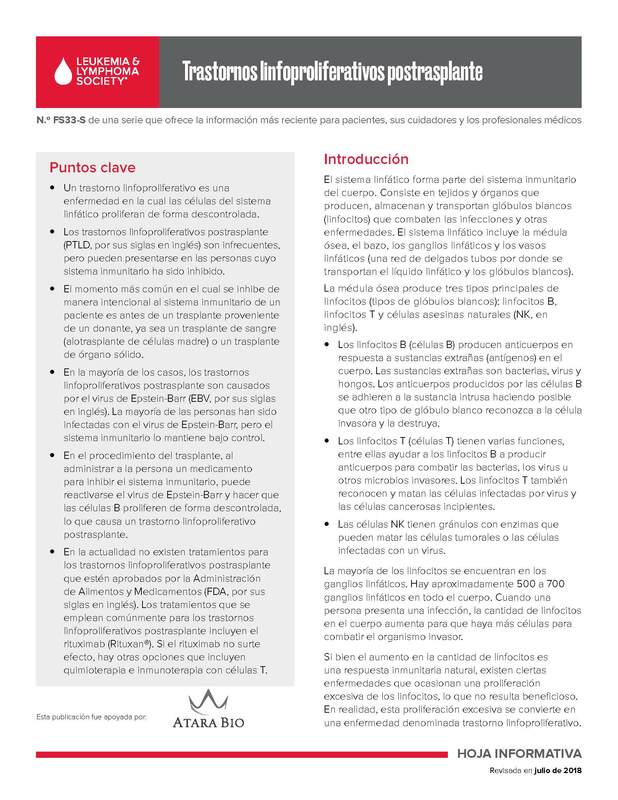 This is the Spanish-language version of the fact sheet Immunotherapy Facts. This is a Spanish-language version of the fact sheet Chronic Myelomonocytic Leukemia (CMML) and Juvenile Myelomonocytic Leukemia (JMML) Facts. 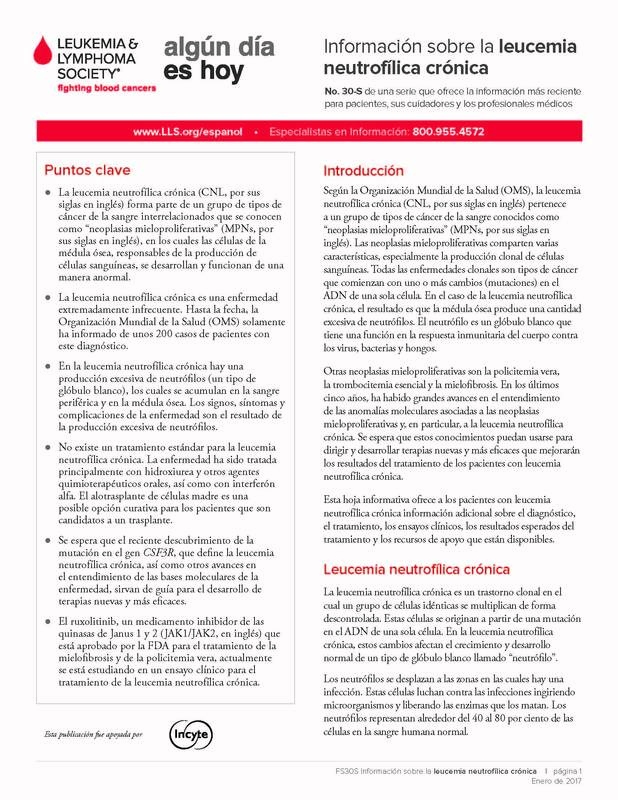 This is a Spanish-language version of the fact sheet Chronic Neutrophilic Leukemia Facts. 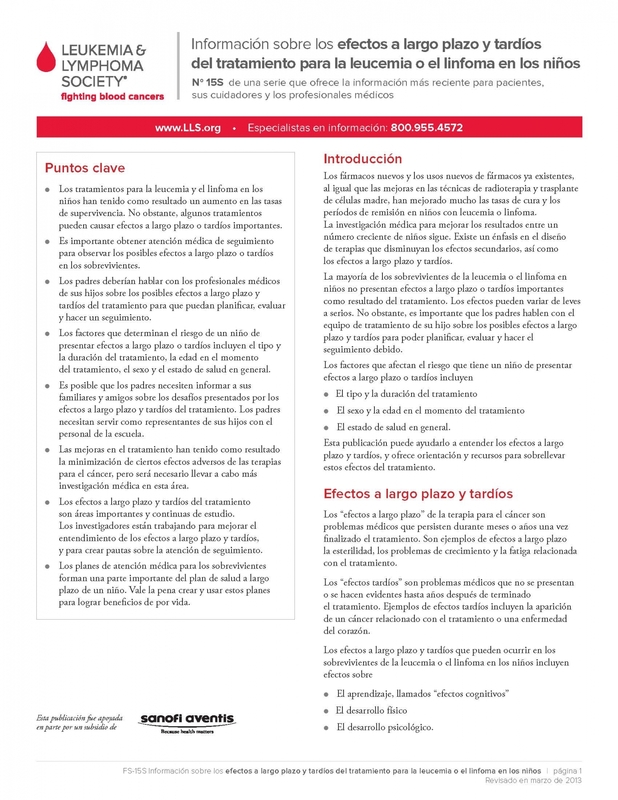 This is a Spanish-language version of the fact sheet Acute Promyelocytic Leukemia Facts. 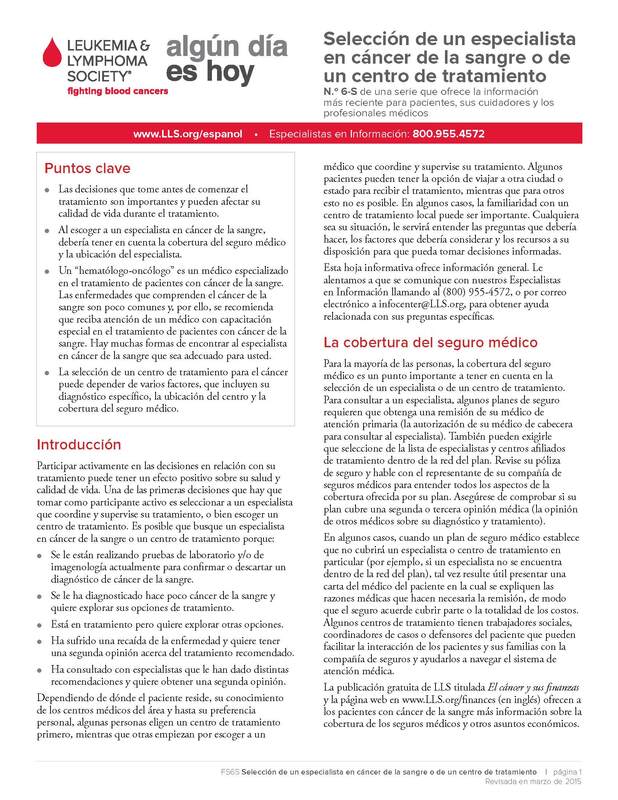 This is a Spanish-language version of the fact sheet Integrative Medicine And Complementary Therapies Facts. This is a Spanish-language version of Dental and Oral Complications of Cancer Treatment Facts. 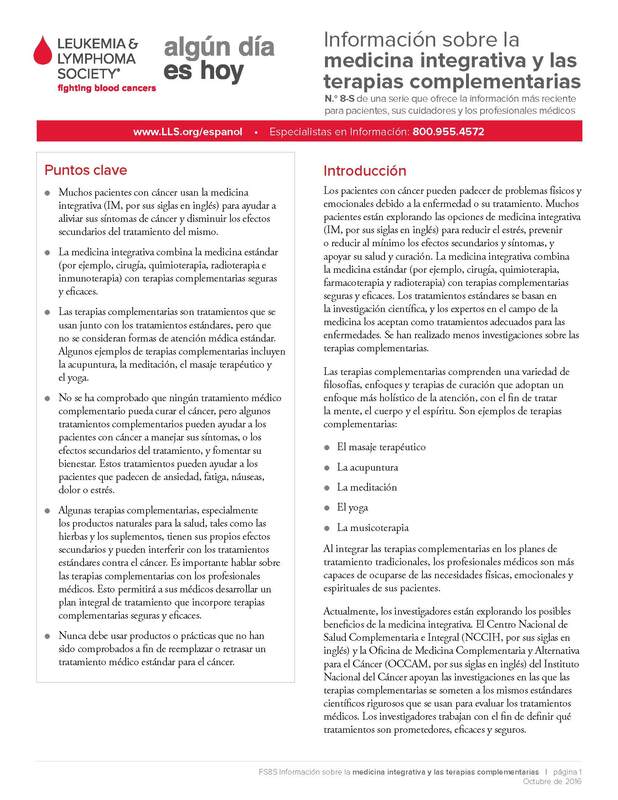 This is the Spanish-language version of the booklet Understanding Lab and Imaging Tests. 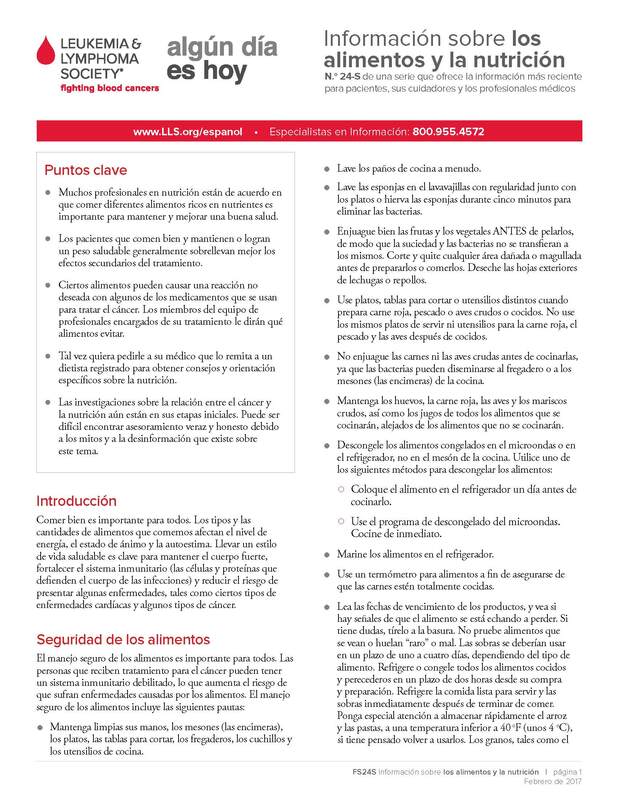 This is the Spanish-language version of the fact sheet Food and Nutrition Facts. This is the Spanish-language version of the fact sheet Long-Term and Late Effects of Treatment in Adults Facts. This is a Spanish-language version of the fact sheet Long-Term and Late Effects of Treatment for Childhood Leukemia or Lymphoma Facts. This is currently out of stock and will be available to order soon. This is a Spanish-language version of the booklet The Lymphoma Guide: Information for Patients and Caregivers. 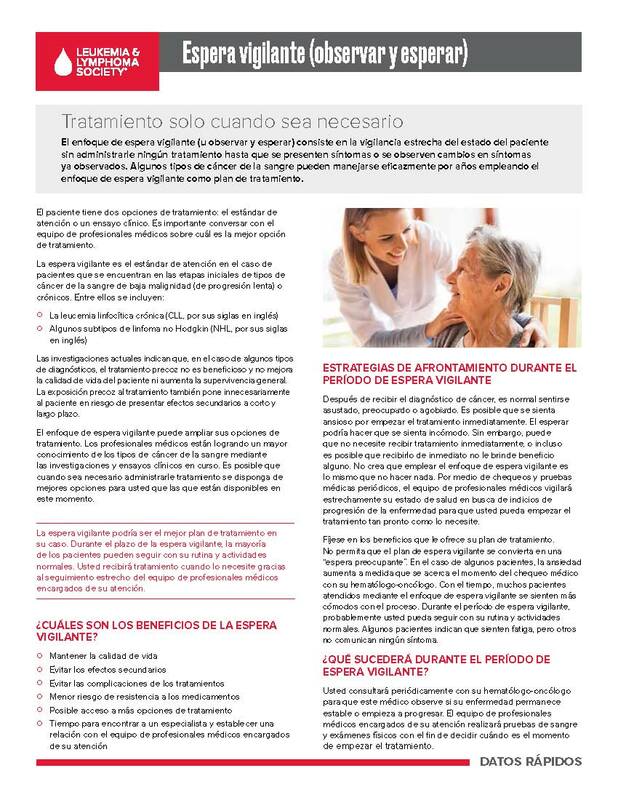 This is a Spanish-language version of the booklet The Myeloma Guide: Information for Patients and Caregivers. 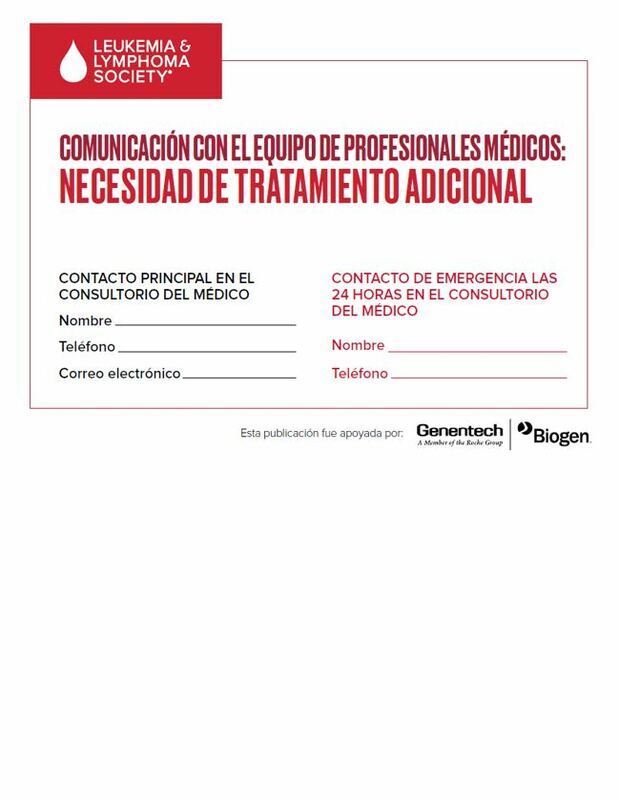 This is the Spanish-language version of the booklet The ALL Guide: Information for Patients and Caregivers. This is the Spanish-language version of the booklet The AML Guide: Information for Patients and Caregivers. 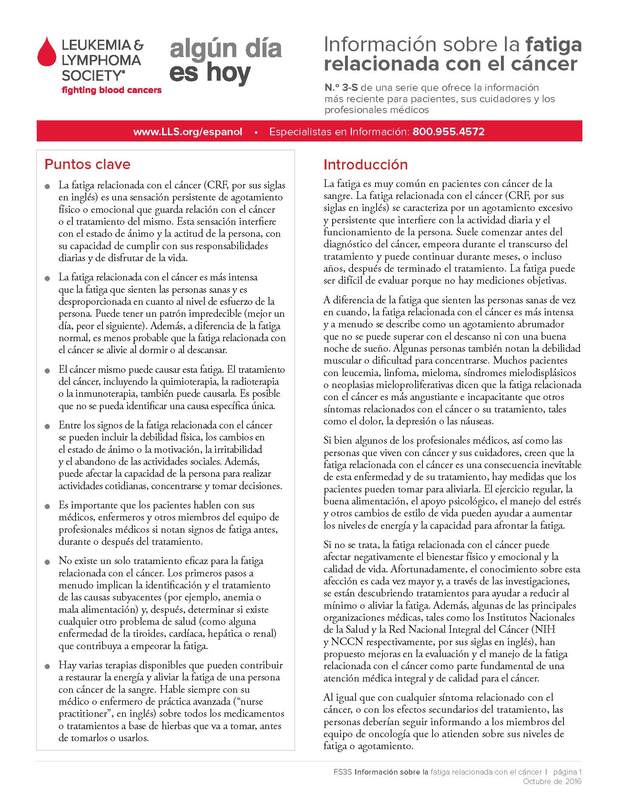 This is a Spanish-language version of the booklet The CLL Guide: Information for Patients and Caregivers. 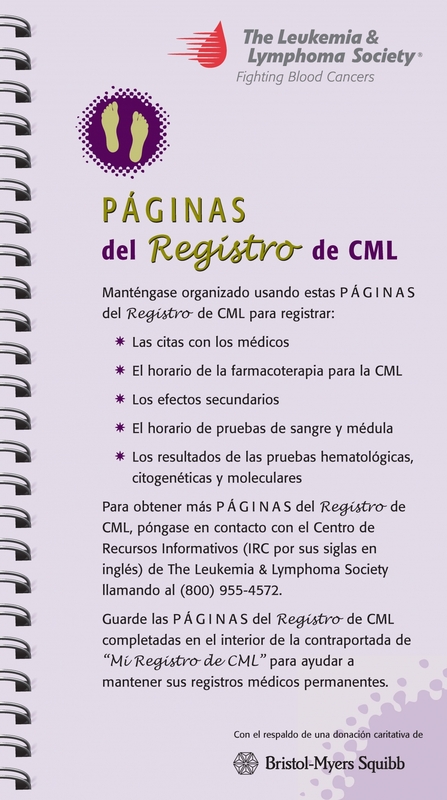 This is a Spanish-language version of the booklet The CML Guide: Information for Patients and Caregivers. 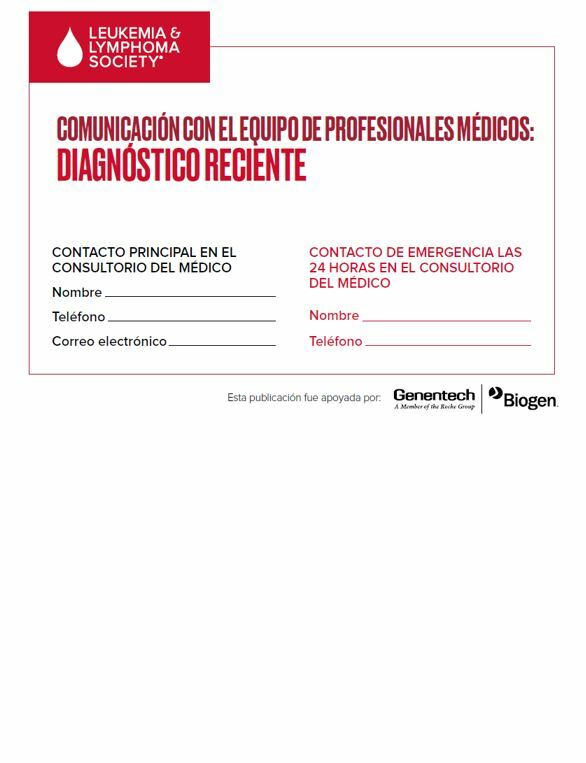 This is a Spanish-language version of the booklet, The MDS Guide: Information for Patients and Caregivers. 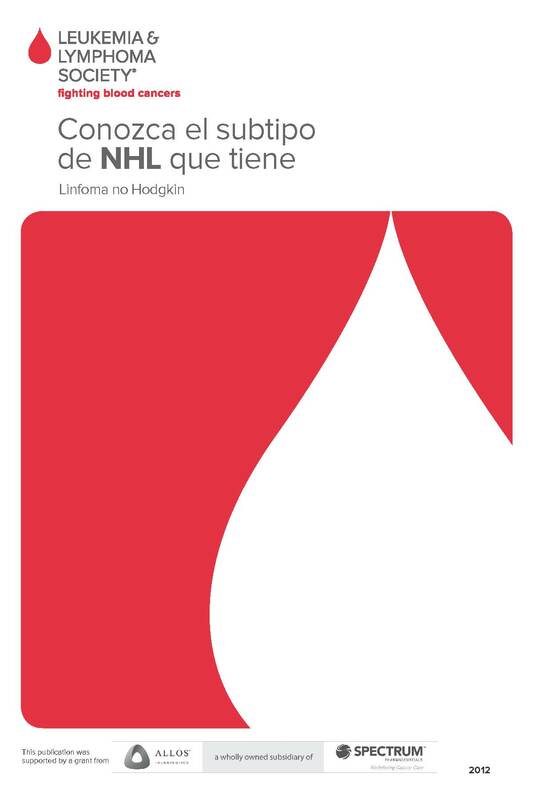 This is a Spanish-language version of the booklet Understanding Leukemia. This is a Spanish-language version of the fact sheet Sexuality and Intimacy Facts. 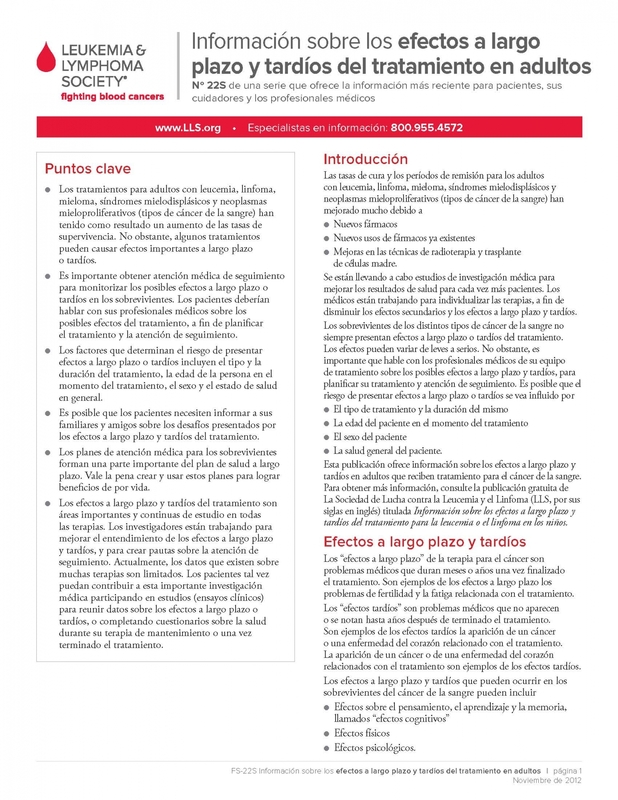 This is a Spanish-language version of the fact sheet, Hairy Cell Leukemia. 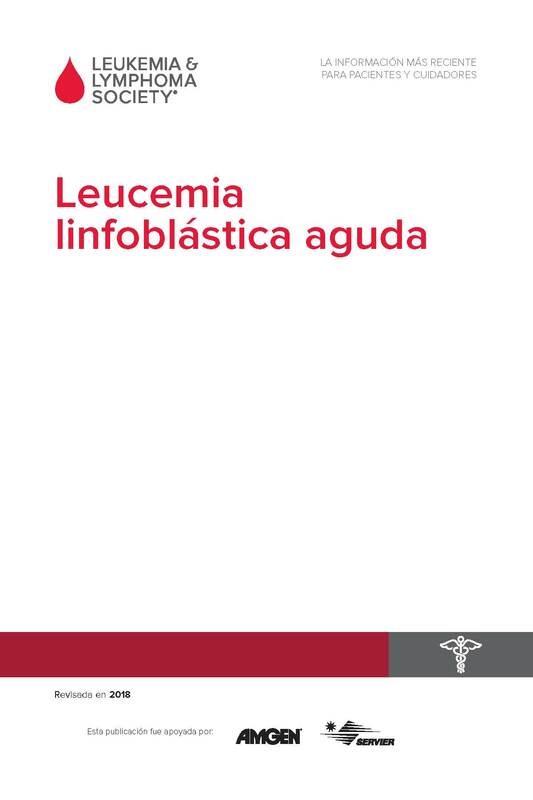 This is a Spanish-language version of the booklet Acute Lymphoblastic Leukemia. 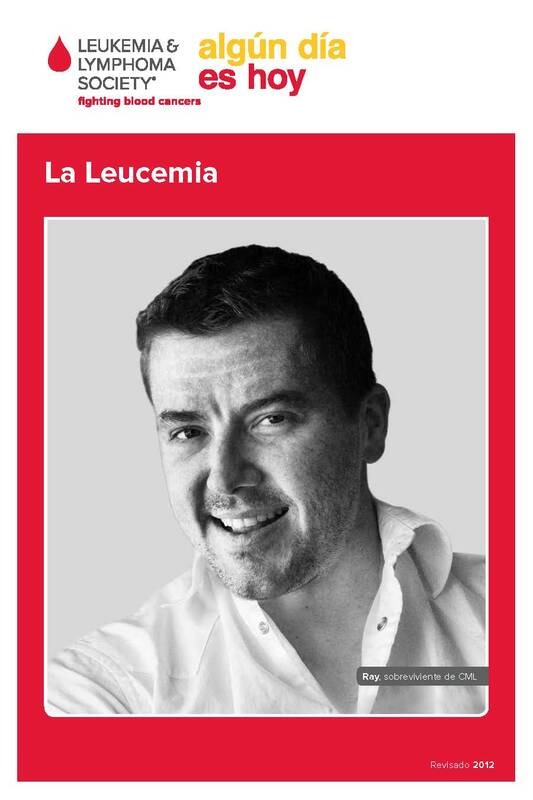 This is a Spanish-language version of the booklet Chronic Lymphocytic Leukemia. 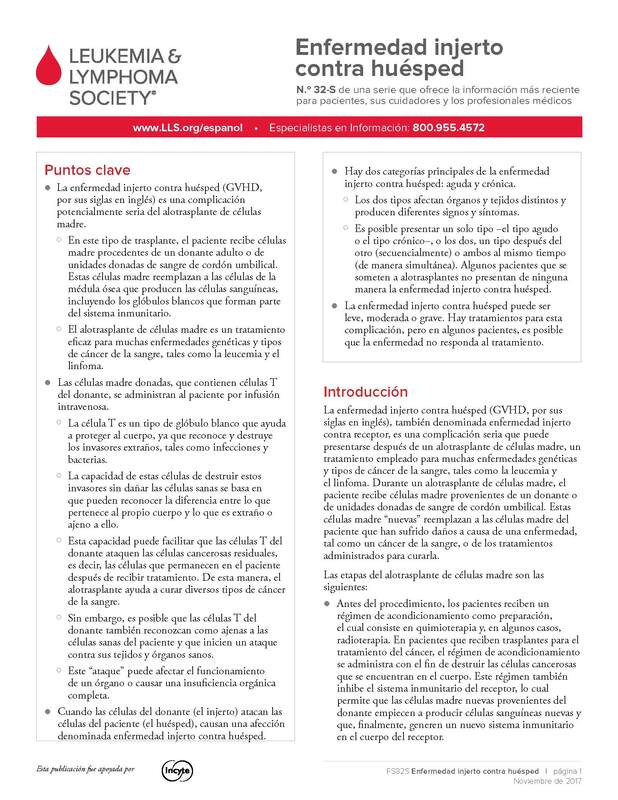 This is a Spanish-language version of the booklet Acute Myeloid Leukemia. 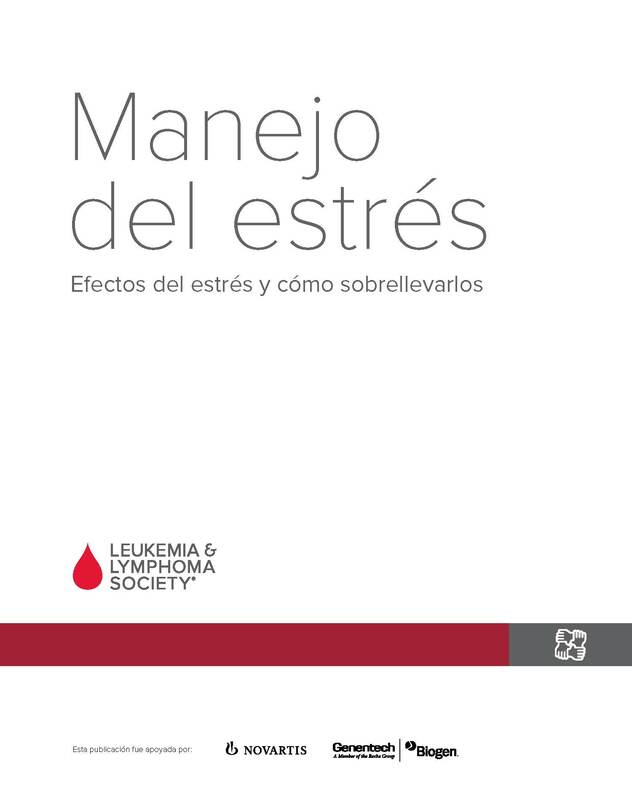 This is a Spanish-language version of the booklet Chronic Myeloid Leukemia. 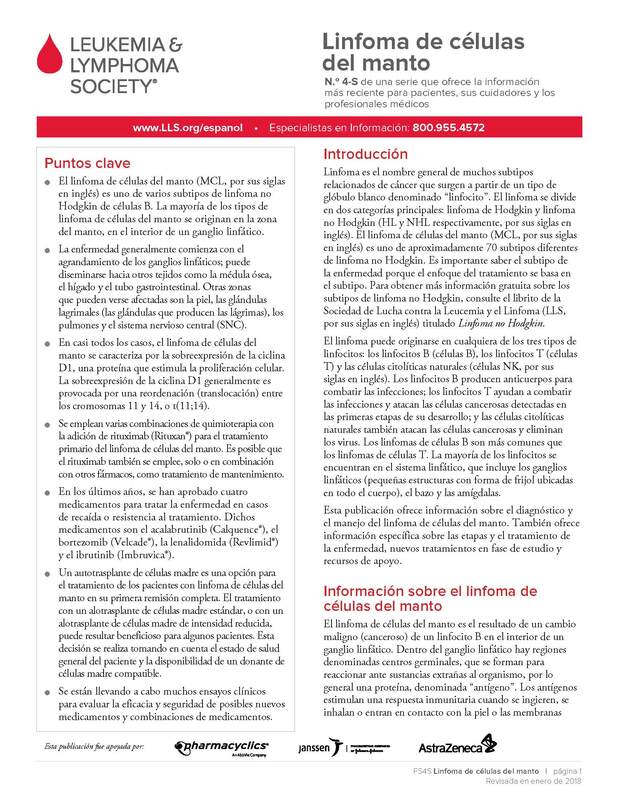 This is a Spanish-language version of the booklet Hodgkin Lymphoma. This is a Spanish-language version of the booklet Non-Hodgkin Lymphoma. 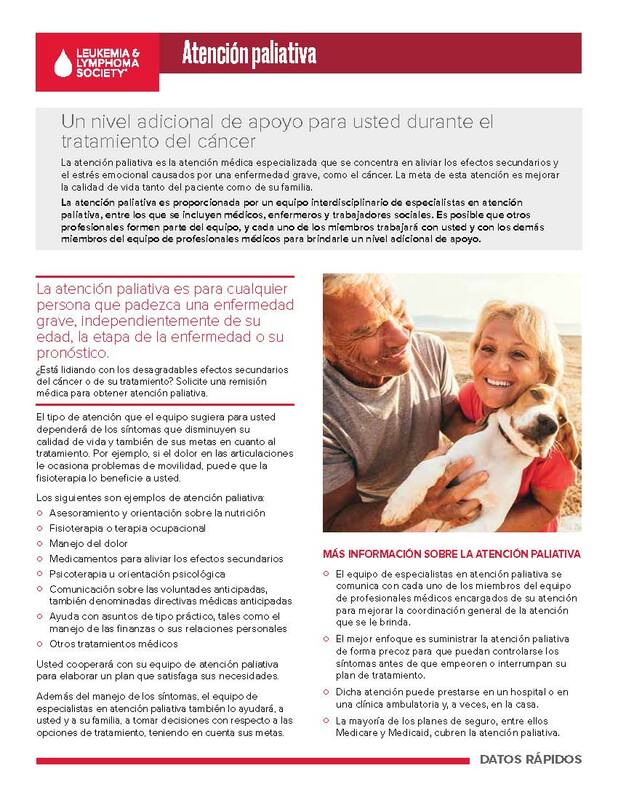 This is a Spanish-language version of the booklet Understanding Clinical Trials for Blood Cancers. 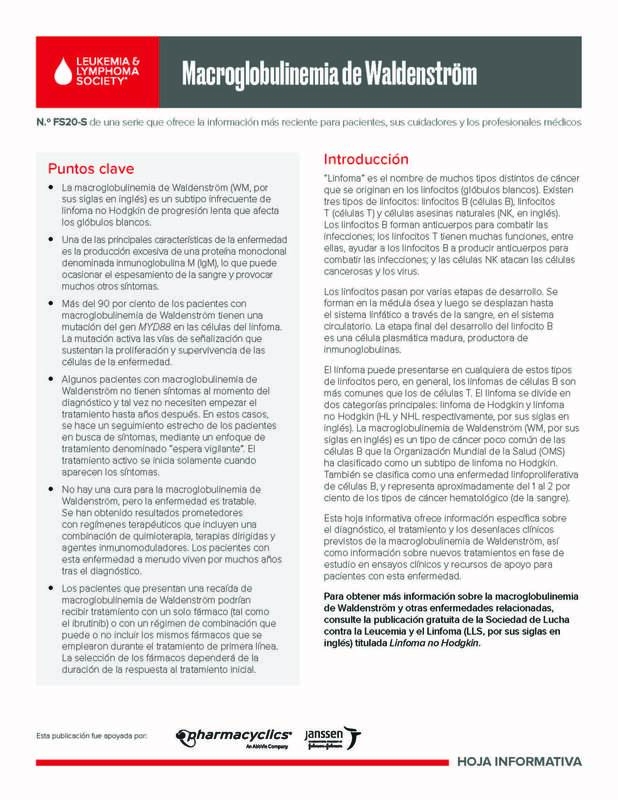 This is a Spanish-language version of the fact sheet Waldenström Macroglobulinemia Facts. This is a Spanish-language version of the book, Managing Stress: How stress affects you and ways to cope. 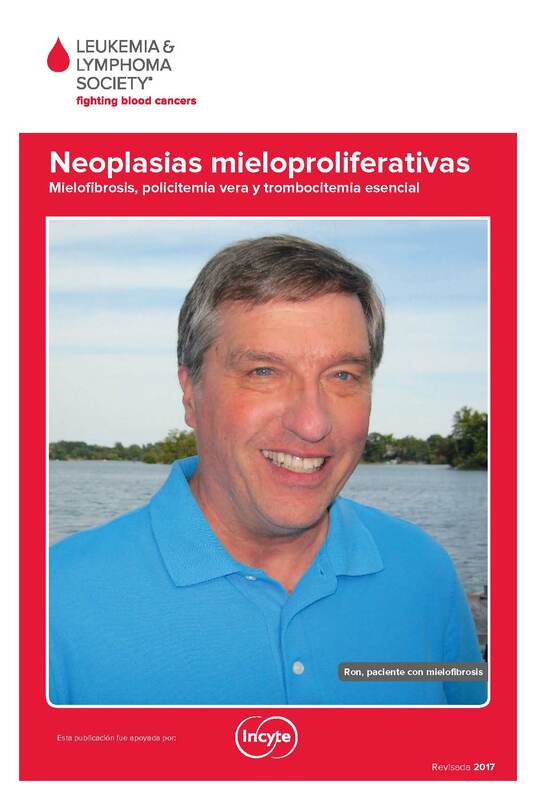 This is a Spanish-language version of the booklet Myeloma. Spanish language version of Myeloproliferative Neoplasms. This is a Spanish-language version of CML Tracker Pages. This is a Spanish-language version of the brochure Patti Robinson Kaufmann First Connection Program. Spanish translation of The CAR T-Cell Therapy Process. This is a Spanish-language version of Co-Pay Assistance Program. Spanish translation of the fact sheet, Cancer Molecular Profiling. 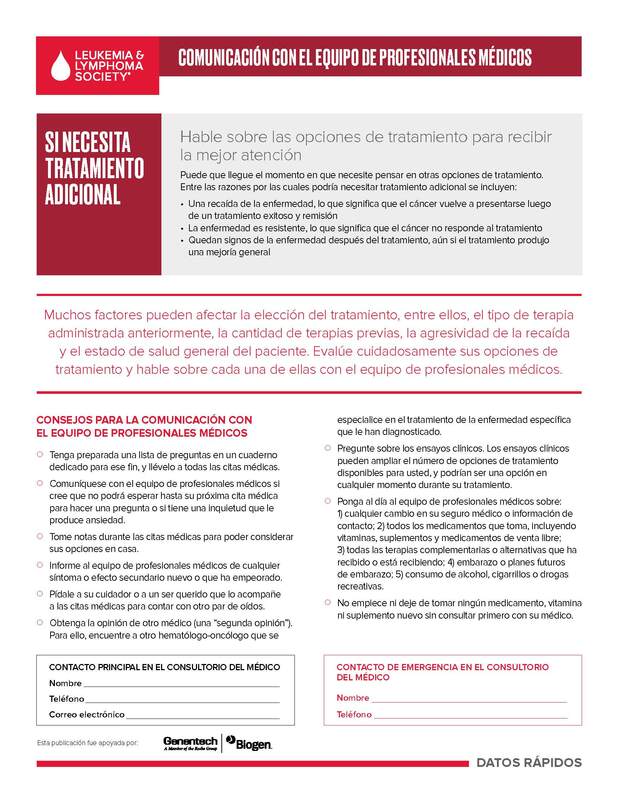 This is a Spanish-language version of A Medication Resource for Myeloma Patients, a calendar to manage medications and doctor’s instructions. 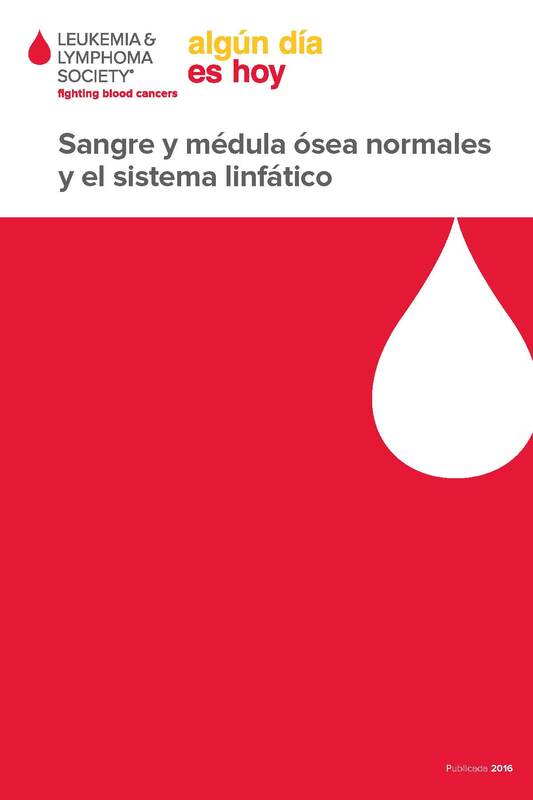 Available in PDF format only.Spanish translation of Normal Blood and Marrow and the Lymphatic System. 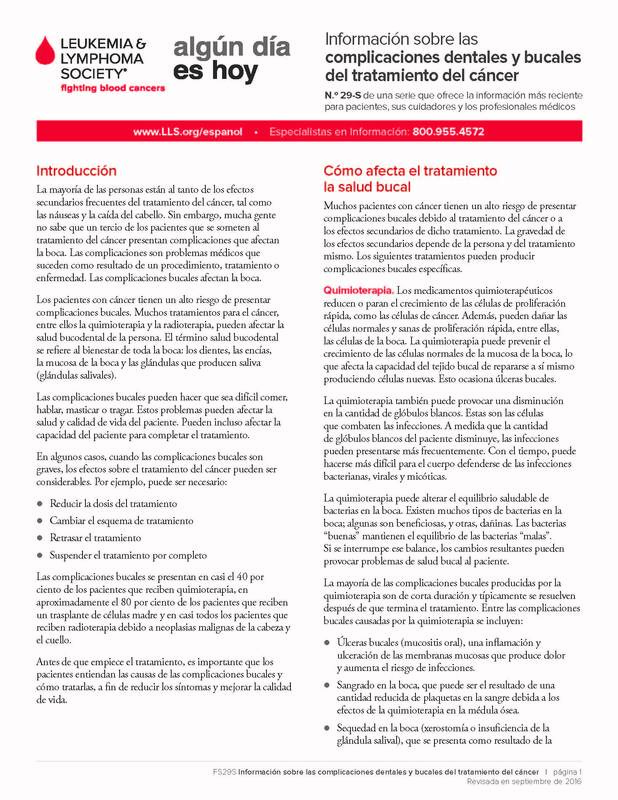 This PDF accompanies all of the Spanish-language disease booklets. This is a Spanish-language version of the fact sheet Choosing a Blood Cancer Specialist or Treatment Center. 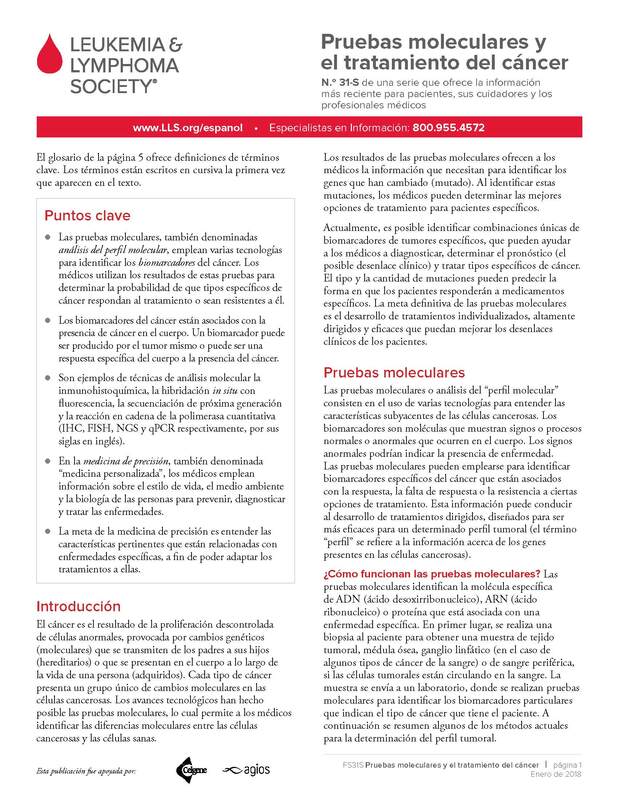 This is a Spanish-language version of the booklet Myelodysplastic Syndromes. This is a Spanish-language version of the fact sheet, Chimeric Antigen Receptor (CAR) T-Cell Therapy. 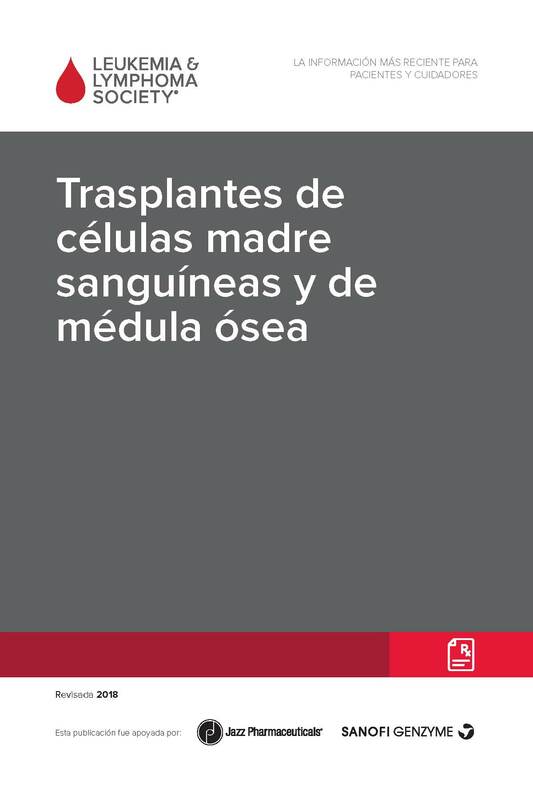 This is a Spanish-language version of the booklet Blood and Marrow Stem Cell Transplantation. 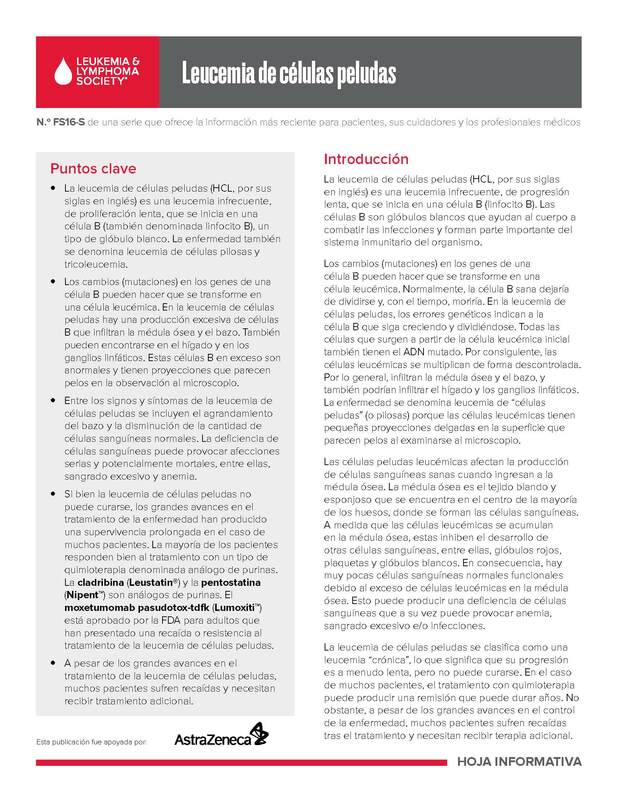 This is a Spanish-language version of the fact sheet, Post-Transplant Lymphoproliferative Disorders (PTLDs).